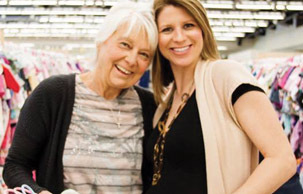 We love that families can support one another by shopping and consigning. That gently used items live on and stay out of landfills. A consignor can choose to mark any item for donation. At the end of an event, those items are gathered and given to our partnering charities. We cannot wait to show you what this looks like here. NYC parents have been so generous and excited to know that their donations go to charities who support families who are vulnerable. Check out the videos below and see what a difference we can make together and how significant your donations really are. Stories from all over the country! KHCC provides resources to empower Bronx residents from cradle to career to advance education and well-being for a vibrant community. We achieve this in an environment that fosters academic milestones, literacy, mental health support, nutrition, technology, and the arts.